Eni announces the success of the Nidoco North West 3 well drilling in the Nooros exploration prospect, located in the Abu Madi West license in the Nile Delta, which is estimated to contain about 15 billion standard cubic meters of gas. Eni announces the success of the “Nidoco North West 3” well drilling, appraisal of “Nidoco NW 2 Dir” discovery, in the Nooros exploration prospect, located in the Abu Madi West license in the Nile Delta. The field, which is estimated to contain about 15 billion standard cubic meters of gas (GSM3) in place, beside to associate condensates, was discovered on July this year and put into production after only two months; it currently produces more than 15,000 barrels of oil equivalent per day (boepd). The production from the new well will start-up by the end of November. Within 2015, Nooros field will produce 30,000 boepd and is expected to reach a plateau of 70,000 boepd in the first half of 2016. The gas and condensates are sent to the Abu Madi’s treatment plant, about 25 kilometers from the discovery, and then routed in the Egyptian network. Similarly to the discovery well, “Nidoco NW3” was drilled from onshore to reach in deviation the Noroos reservoir located in the offshore shallow waters. The well encountered a 65 meters thick gas bearing sandstone layer of Messianian age with excellent petrophysical properties. 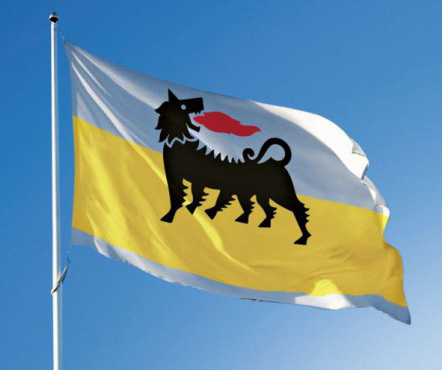 In parallel with the field development, Eni will continue its exploration activities in the license area, where it has identified a significant additional potential which will be tested through the drilling of other three new exploration wells. Eni, through its subsidiary IEOC, holds a 75% stake in the Abu Madi West licence, while BP holds a 25% stake. The operator is Petrobel, held equally by IEOC and by the state company Egyptian General Petroleum Corporation (EGPC). In addition to the activities in the Nile Delta, Eni reports that in October, in the Western Desert of Egypt it has reached a new production of 73,000 barrels of oil per day, doubling in just three years the level of production in the area. The production increase was allowed by the production growth in the Melehia West Deep field, in the Melehia license, located in the Melehia licence, 290 kilometers west of Alexandria. The new field, which contains oil and gas in the Lower Cretaceous and Jurassic’s deep geological layers, was discovered on January 2015 and, following an appraisal campaign, it has already achieved a production level of 12,000 barrels of oil per day. Eni expects, with the next activities of the Melehia West Deep field, to bring production over 15,000 bopd also thanks to the start-up of the first treatment plant and the gas export of Melehia’s license by end of November. These new finds with immediate return of production capacity are the result of Eni’s new strategy in the country, where the onshore have been addressed on high value activities able to grant the rapid development of the discoveries through existing infrastructures and synergies. Eni, through its subsidiary IEOC, holds a 100% stake of the Melehia Deep license and a 76% stake in the Melehia’s license, together with its partner Lukoil, which holds a 24% stake. The operator is Agiba, a joint venture between IEOC and EGPC. 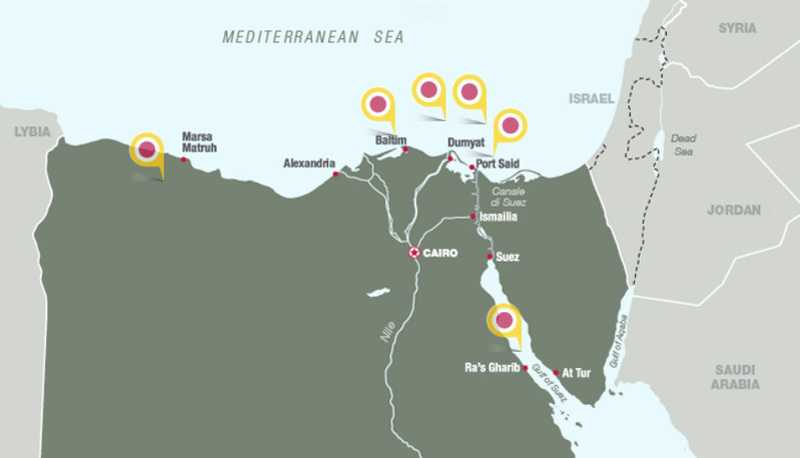 Eni has been present in Egypt since 1954 where it operates through IEOC. The company is the leading producer in the country with an equity production of around 190,000 barrels of oil equivalent per day.